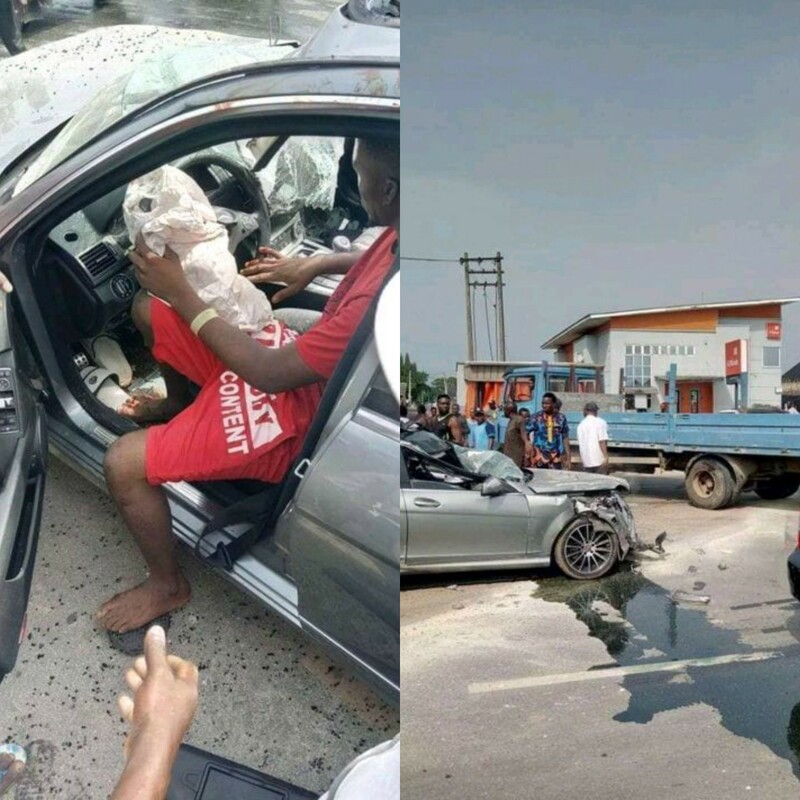 A man used his friend mercedes benz to Jam Nikoro Block Industry Truck Close to GT Bank in Sapele, beyond Repair. 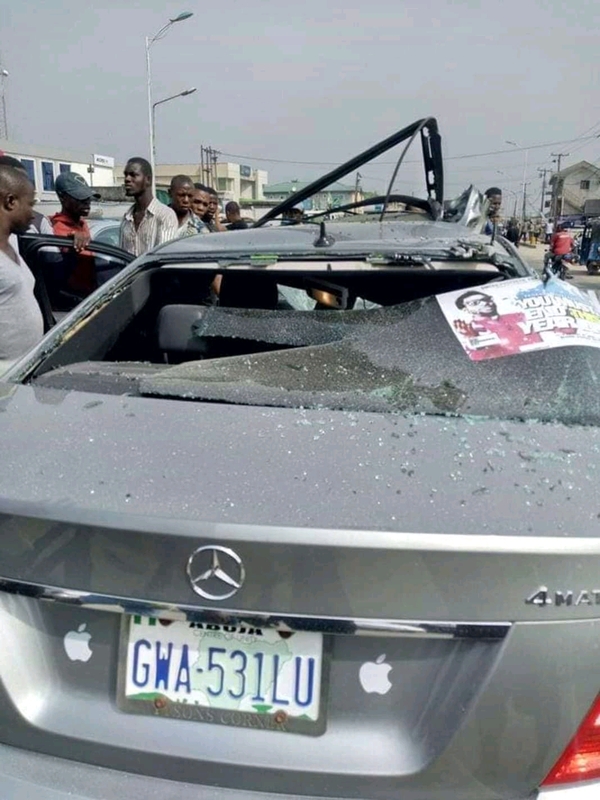 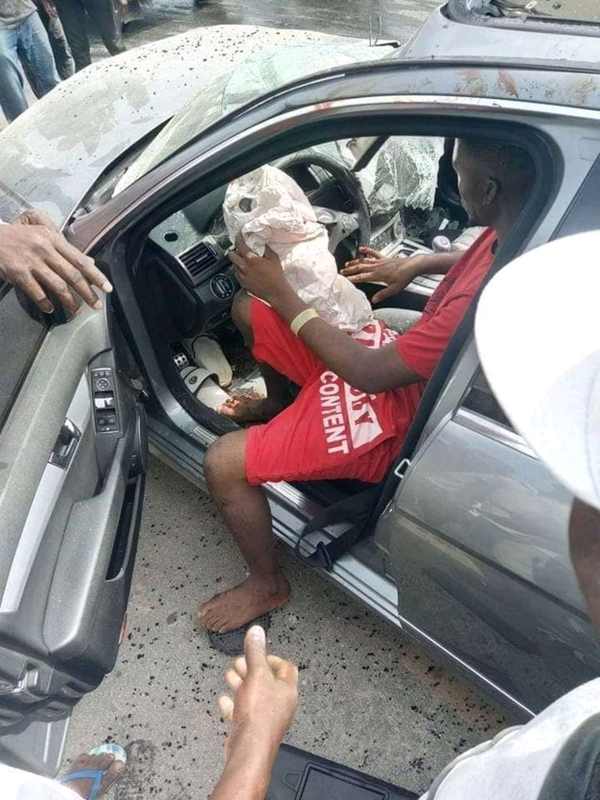 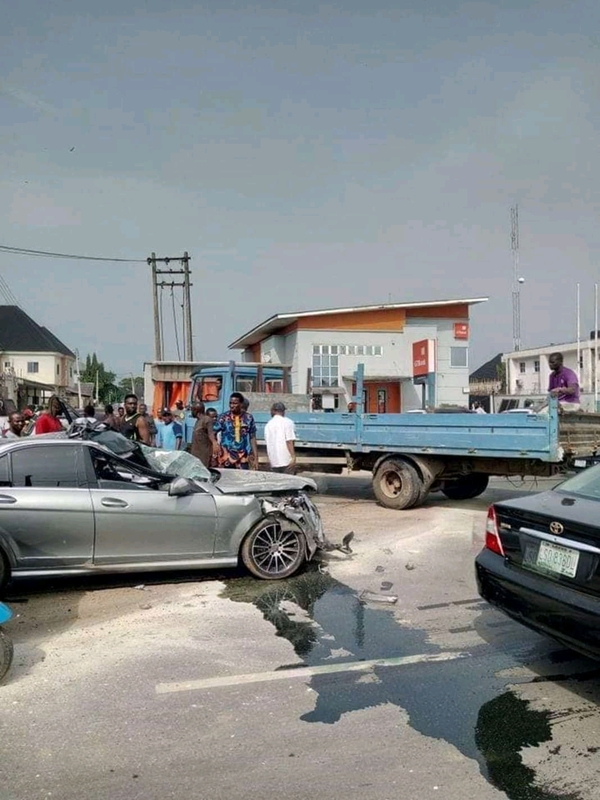 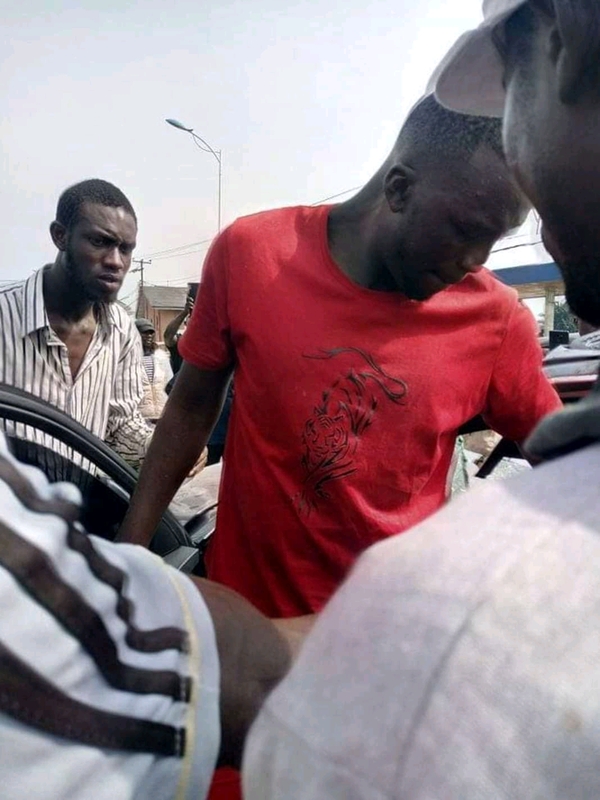 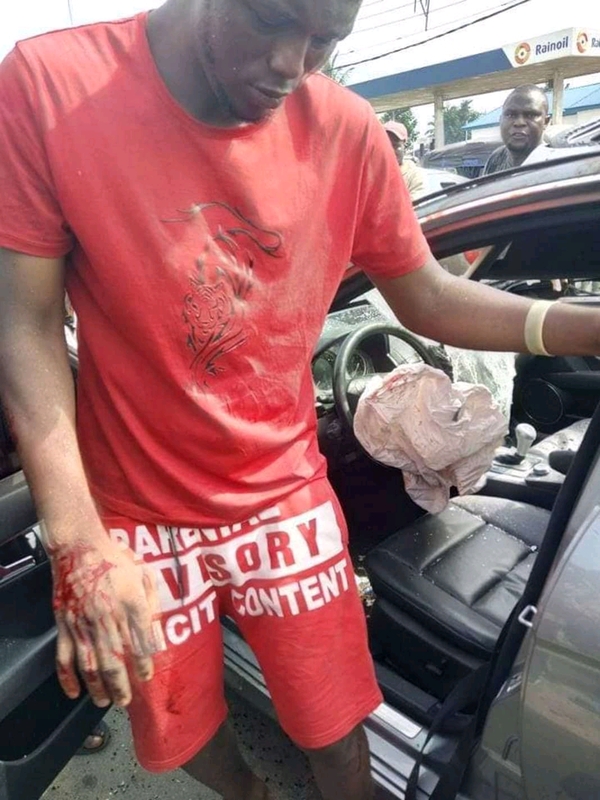 According to the report, the guy that use the benz to hit the truck it's not the owner of the car, it was his friend that gave him the key, the accident happened at the early hours of today in Sapele close GT Bank, due to the over speeding of the mercedes benz just like fast and furious. 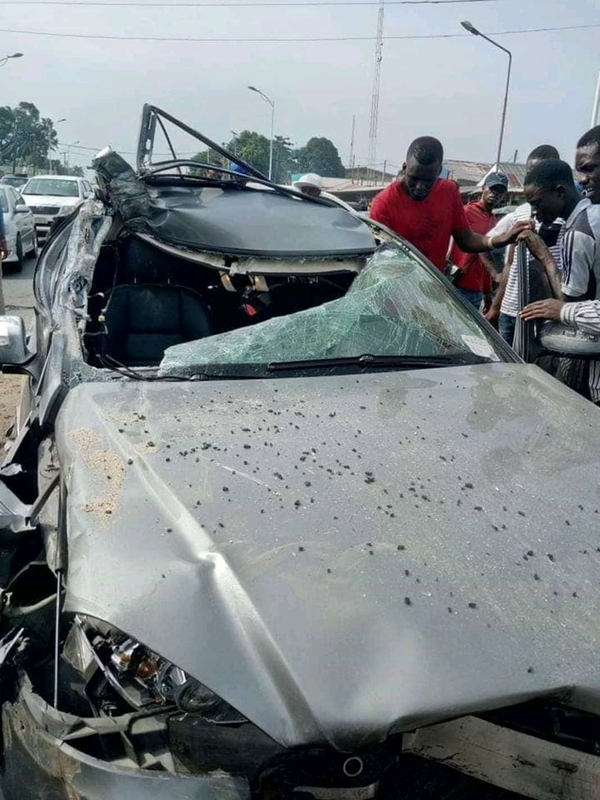 According to how it was reported, no one died but the car was damaged beyond repair. 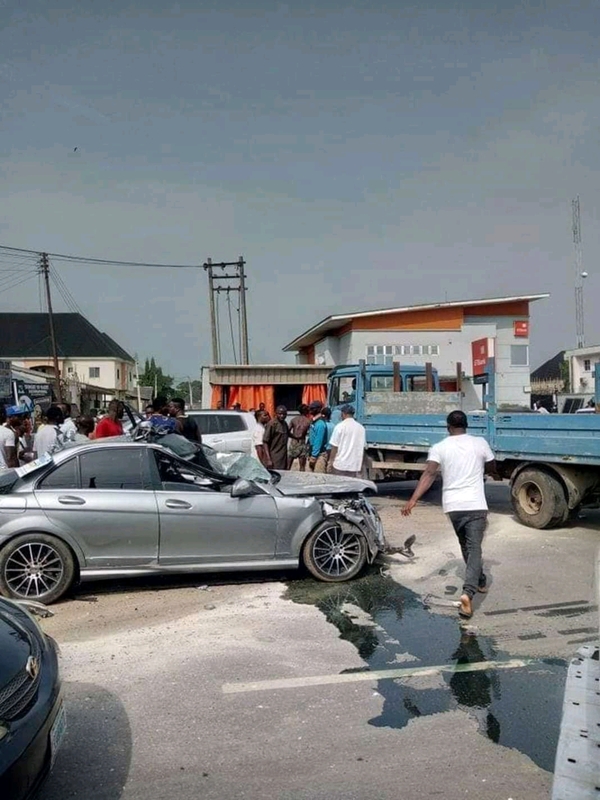 Since it's another man's car so taking a look at this, the guy that use the car to jam the truck is in a very big problem.